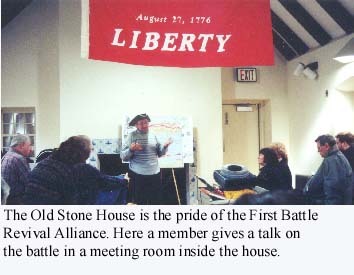 (You may want to first read about the beginning of the Battle of Long Island under Battle Pass). During the Battle of Long Island, the Americans near the Harbor had surprised the British with their tenacity. Moving to assist General Stirling, Colonel Samuel Atlee took possession of a hill to block the British advance. The British lost over 60 officers and men in these attacks as the Americans kept the astonished invaders at bay for most of the morning. By 11 a.m., the Americans near the harbor could hear firing in their rear. Realizing that he had been surrounded, Stirling ordered most of his men to fall back in good order, continuing to retard the advance of the British in their front. With 400 Maryland Continental soldiers, he moved to check the enveloping movement in his rear while the rest of the American army escaped the trap. 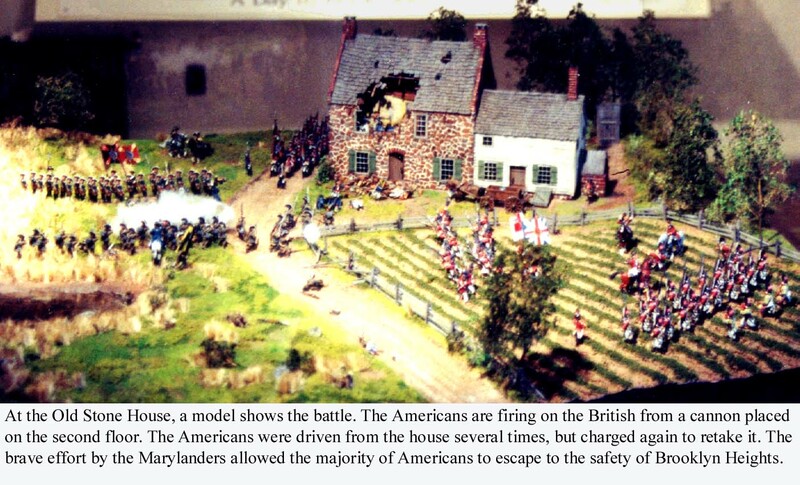 The British were approaching the Carilyou house, which dominated the only remaining line of retreat for the Americans. Stirling decided to check the British advance by attacking the house. He launched six attacks, overrunning the house twice. After buying time for the rest of the American army to escape, and with most of the Marylanders dead or wounded, Stirling surrendered. 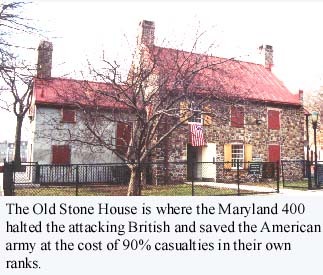 Of the 400 Marylanders, 256 were dead in front of the Old Stone House and more than 100 others were killed or captured. Only 10 successfully escaped to Brooklyn Heights. It was apparently this battle at the House, which Washington watched from within the fortifications on Brooklyn Heights, that led him to make his famous comment: "Good God, what brave men must I lose this day!" The story of the Battle of Long Island continues with Battle Hill. 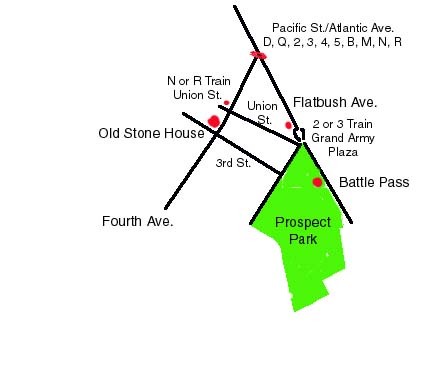 Address: Byrne Park, Fourth Avenue and Third Street. Hours: Saturday, noon to 3 p.m.